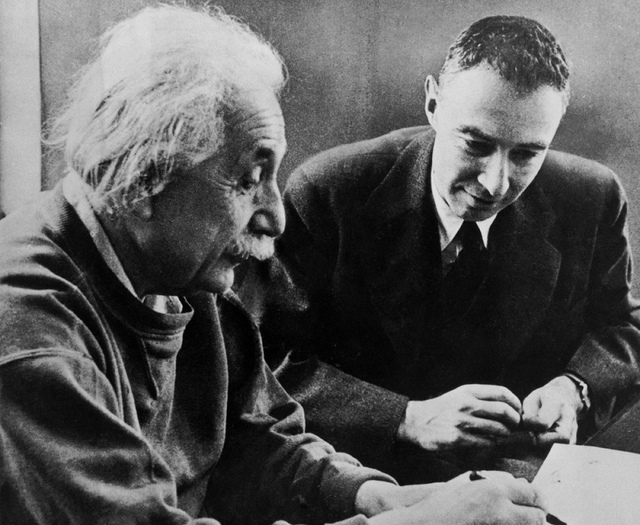 There is a top-secret (now unclassified) document written by American theoretical physicist Robert Oppenheimer and German theoretical physicist Albert Einstein, titled the “Relationship with Inhabitants of Celestial Bodies”. The six-page document is one of the first to make reference to extraterrestrial biological entities and states that the presence of UFOs is something accepted by the military. “Relationships with extraterrestrial men presents no basically new problem from the standpoint of international law; but the possibility of confronting intelligent beings that do not belong to the human race would bring up problems whose solution it is difficult to conceive. At any rate, international law should make place for a new law on a different basis, and it might be called “Law Among Planetary Peoples,” following the guidelines found in the Pentateuch. Obviously, the idea of revolutionizing international law to the point where it would be capable of coping with new situations would compel us to make a change in its structure, a change so basic that it would no longer be international law, that is to say, as it is conceived today, but something altogether different, so that it could no longer bear the same name. Oppenheimer and Einstein were trying to communicate through their report that an official disclosure of extraterrestrial beings would cause great damage on society and belief systems around the world. While governments around the world might know about the presence of extraterrestrial entities, it is very likely that these opted to keep that information a secret since the damage would be irreversible. Oppenheimer and Einstein also considered the possibility that if the extraterrestrial entities are more advanced than we are, would it be possible to co-exist peacefully on planet earth? And if these beings actually came to Earth, what would their purpose be considering they are more advanced than we are? Would they come to Earth to annihilate us? Or would they come and offer support? Helping our species to evolve at a faster rate? All questions we are asking today. “We cannot exclude the possibility that a race of extraterrestrial people more advanced technologically and economically may take upon itself the right to occupy another celestial body. How, then, would this occupation come about?